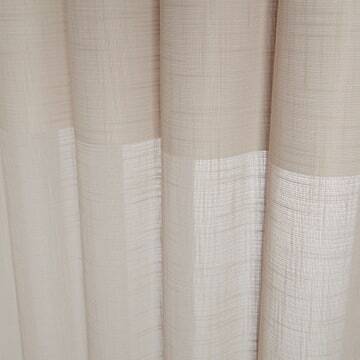 Hunter Douglas Luminette Privacy Sheers are the perfect solution to wide windows and sliding doors. Hunter Douglas Lumiette Privacy Sheers features sheer fabric with vertical rotating vanes that are attached to the back of the sheer fabric. Luminette Privacy Sheers provide the delicate beauty that sheer drapery has to offe r.
Hunter Douglas Luminette Privacy Sheers defuse the sun’s sometimes harsh light to natural, soft beautiful light to brighten any room when the Privacy Sheers vanes are rotated completely open. The vanes rotate easily to direct the sun’s light to where you want it in the room. Hunter Douglas Luminette Privacy sheers provide protection from the sun’s harsh ultraviolet (UV) rays to keep your floors and possessions from damage. Hunter Douglas Luminette Privacy Sheers can be controlled wirelessly, scheduled or unscheduled to open and close. Hunter Douglas Luminette Privacy Sheers features a headrail that sleekly conceals the soft rack system. Hunter Douglas privacy sheers are covered by lifetime limited warranty. 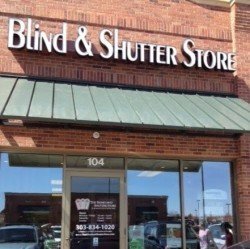 At the Blind and Shutter store, we have a variety of sheer blind selections which allows you to choose the shape that fits your window including the style and color. You also have the option to make your privacy sheers motorized and child safe.